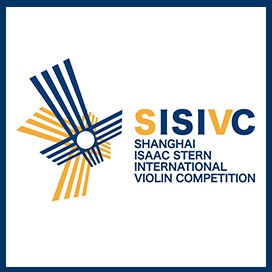 The deadline for the new Shanghai Isaac Stern Competition has been extended. Applications will be accepted through Feb. 29 (mailed applications must be postmarked by that day). The inaugural competition will take place Aug. 14 to Sept. 2 in Shanghai, China and offers a grand prize of $100,000 USD. It will be a biennial competition. 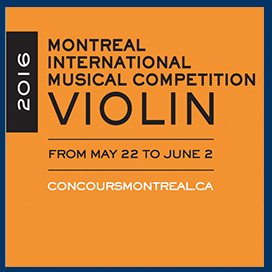 The Montreal International Musical Competition reported that it has received a record number of applicants for this year's violin competition, with 206 applications from 125 women and 81 men (it will be interesting to see the gender ratio in the final numbers; this year's Menuhin Competition selected 36 females and eight males). The average age of the applicants is 23 years, with 34 countries are represented, the highest number of candidates from United States, South Korea, Canada, and Japan. Twenty-four candidates will be invited to compete in the competition, which takes place Montreal May 22 to June 2 for violinists up to age 29.